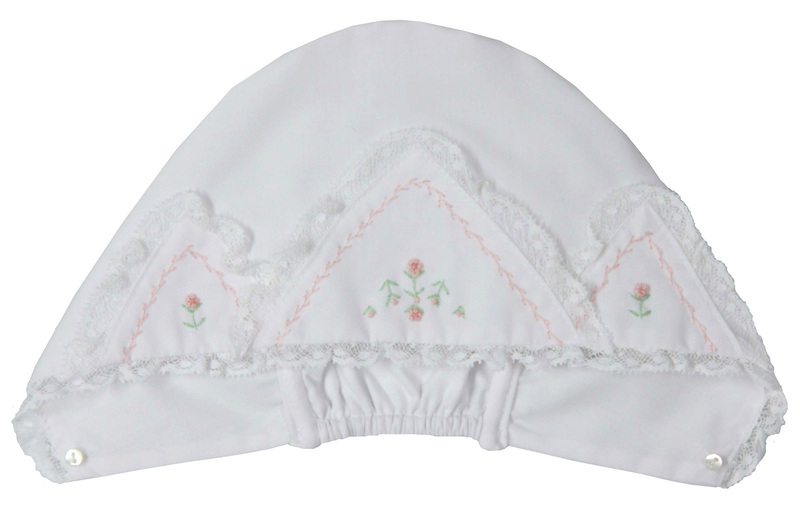 This darling vintage style white cotton blend bonnet is made by Sarah Louise, a leading British designer of beautifully detailed baby clothing for more than 20 years. 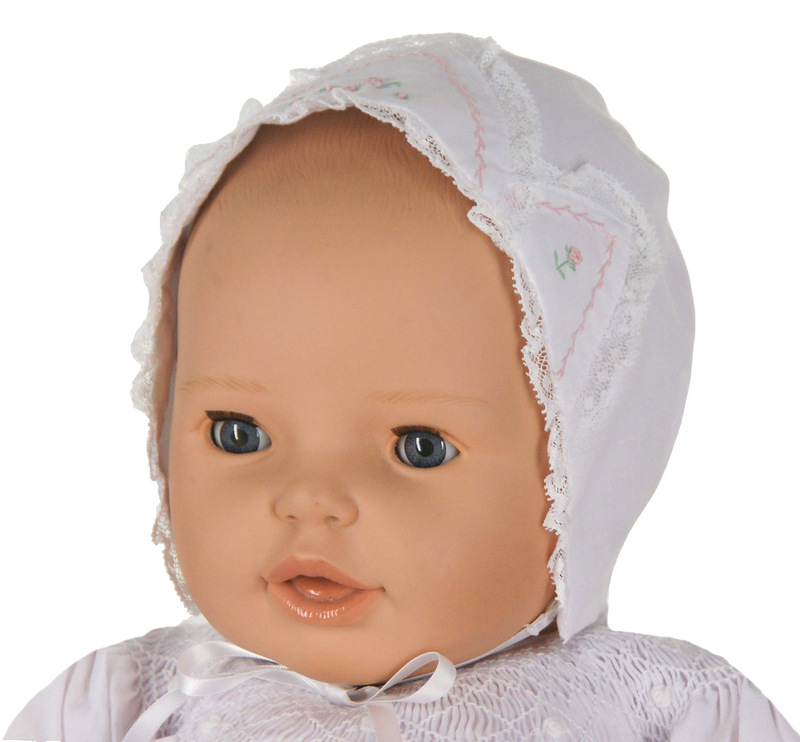 The fitted bonnet has a closed batiste crown that is elasticized at the neckline for a good fit. 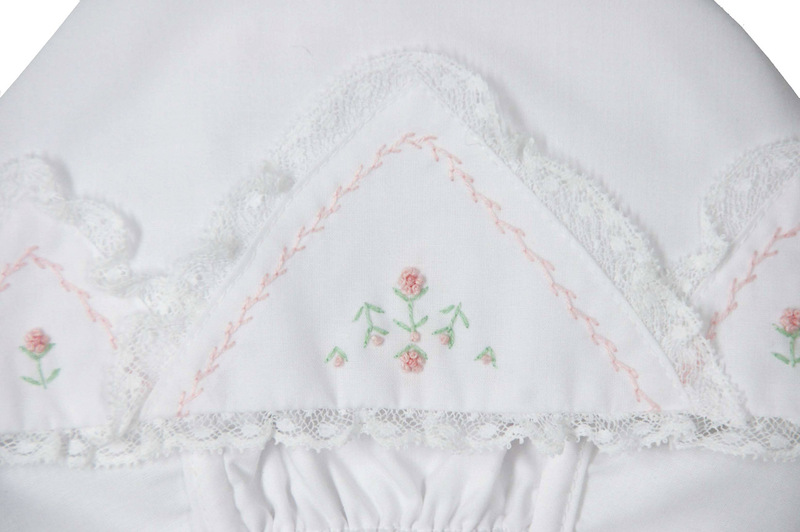 The reverse triangular ruffle is trimmed with lace and embroidered with tiny pink flowers and featherstitching. 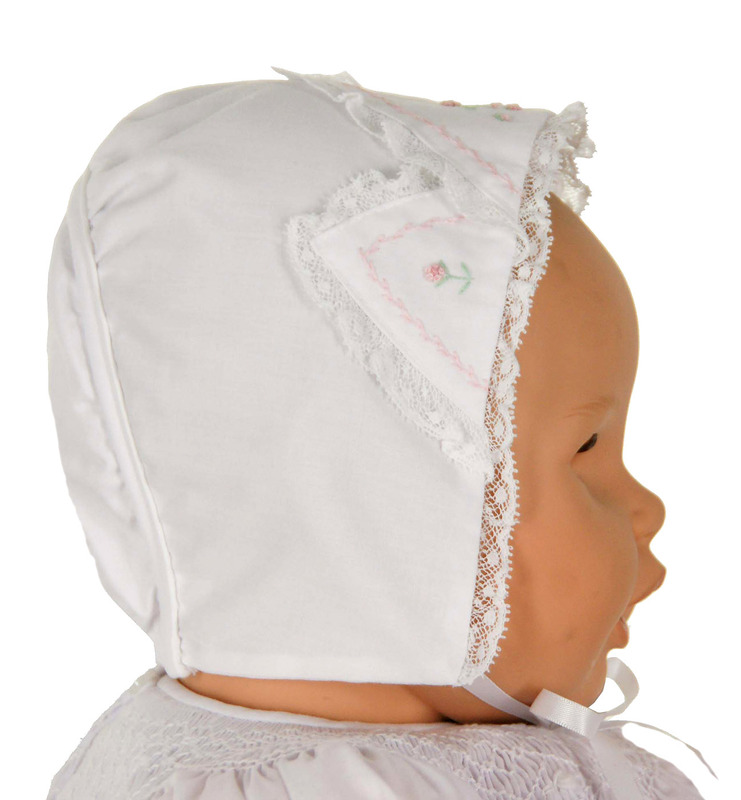 The bonnet ties under the chin with removable white satin ribbons. Perfect for a christening bonnet or any special occasion! Coordinates with any of the Sarah Louise white and pink smocked dresses. Note: This darling baby bonnet is also available in all white and all ivory. See below.